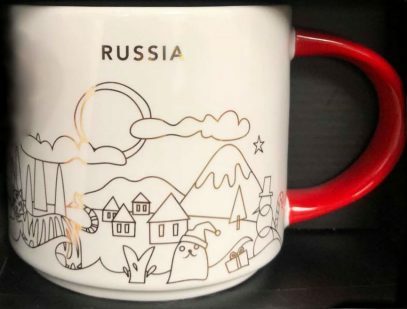 Mother Russia gets another YAH. 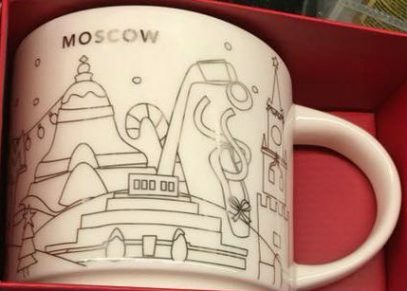 We had Moscow, we had Moscow Christmas. 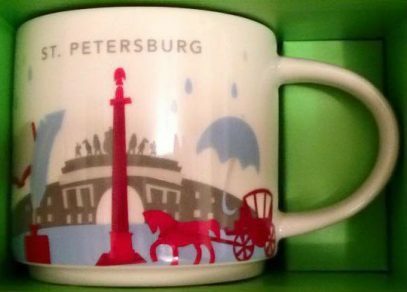 This time Starbucks releases St. Petersburg. It looks appealing (my opinion only). 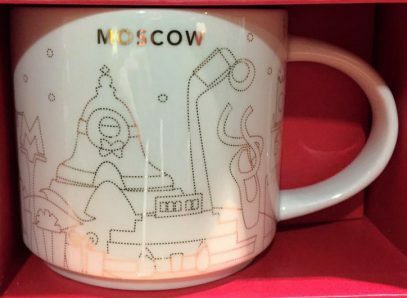 This Icon mug came from Krasnodar, Russia. 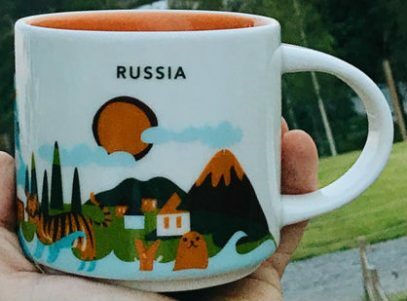 Orange is used as its theme color. 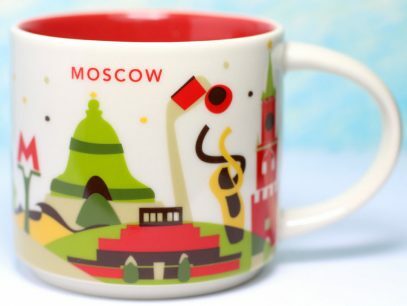 Statue of Ekaterina the Great can be seen on the front of the mug and Sunflower fields of Krasnodar on the back.